Best Days: Nothing amazing, though there'll be small peaky beaches Tuesday, Wednesday morning (in Far Northern NSW/SE Qld), and Friday. Recap: The weekend was alright, eh? Saturday’s expected kick in E/SE swell came in a little earlier than modeled, was a little stronger than anticipated and winds were variable through the morning so everywhere was nice and clean. Size was a pretty strong 4-5ft across most exposed coasts (smaller running down the points) before the wind picked up into the afternoon. Sunday saw slowly easing swells from the same source, and winds were unusually variable across the entire Northern NSW coast under the influence of a surface trough, trending southerly if anything (though SE Qld still saw northerlies). Today we’ve seen a further drop in size and early light winds and sea breezes. So much potential.. but so little (forecast) action at the present time. The synoptics are quite busy at the moment with a surface trough stretching longitudinally across the western Tasman Sea, and a series of fronts pushing through the Great Australian Bight. A broad infeed of E/NE winds feeding into the Tasman trough and a stationary trade flow south of Fiji will supply small E’ly swells for our region all week though no major size is expected, generally somewhere between 2ft and maybe 3ft at most open coasts on the more favourable parts of the tide, though very inconsistent at times. 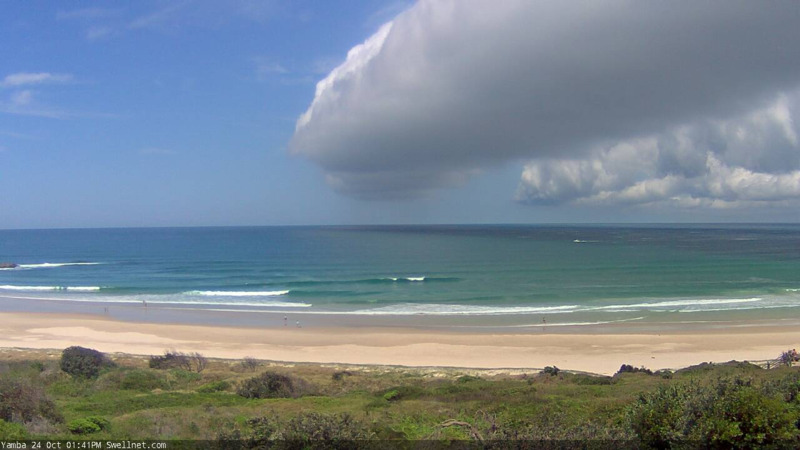 With the trough dominating the waters adjacent the coast (and quite some distance offshore), we’re looking at a mixed bag in the wind department. A gusty southerly change will push along the Northern NSW coast on Wednesday (reaching the Qld border very late in the day), but otherwise we’re looking at variable winds most days. Note: variable means ‘from any direction’, so I’m not implying clean conditions for the majority of this time frame. It’s just that other than Wednesday's change, there are no other significant synoptic drivers influencing our local winds and weather. Aside from the aforementioned east swell, we’ll also see a small southerly windswell trail Wednesday’s change, which will build that afternoon and then ease into Thursday, only influencing Northern NSW. Thursday morning may still see a lingering southerly flow across exposed beaches too, so don’t get your hopes up for anything worthwhile. The trade flow below Fiji is expected to ease from Thursday onwards, which will lead to a decrease in size and strength from this region through the weekend. Saturday will be your only day to capitalise on anyway, with light winds and minor beachies around the 2ft+ mark for the early session, becoming smaller by lunchtime and into the afternoon. Freshening northerly winds are expected on Sunday as a surface trough approaches slowly from the west, and this will deteriorate the quality of the small residual swell on offer. The long term model runs haven’t been particularly reliable over the last week or two, but they’re currently suggesting the weekend’s approaching surface trough will evolve into a significant Tasman Low early next week, resulting in. Let’s give it a few days before getting remotely excited about our swell prospects. 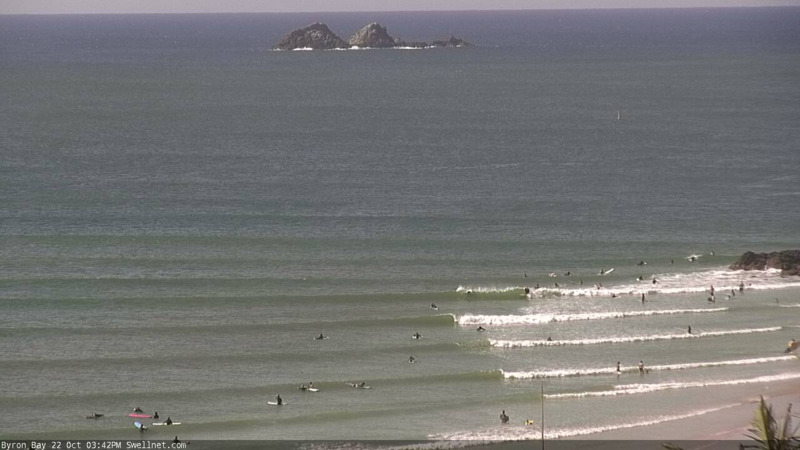 Thank you Papa for the surf we slash for the winds that blow our beautiful coast. I am grateful but would have no qualms about being banished to Gaum. I am going to do some meditation as it must be better than sitting around doing nothing. Actually I went for a surf the swell and the wind were OK the water beautiful but the banks were poor and need tweaking. Ah but surfing closeouts is a perfect way to launch my title assault! 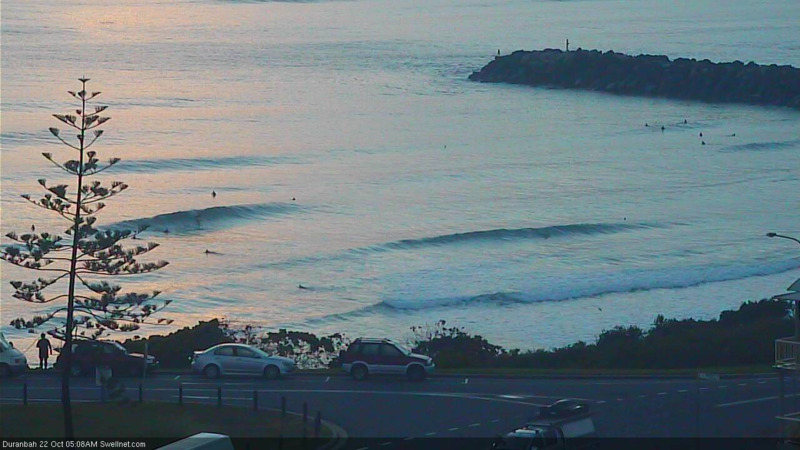 It would appear that our Yamba surfcam has once again spectacularly captured the southerly change moving up the coast (as it did a few weeks ago). Watch for the obs to change in the next 10 mins.